Although the models within the Polycom VVX 500 and 600 Series vary slightly in terms of internal hardware and screen size, all the models in both series work in exactly the same way. 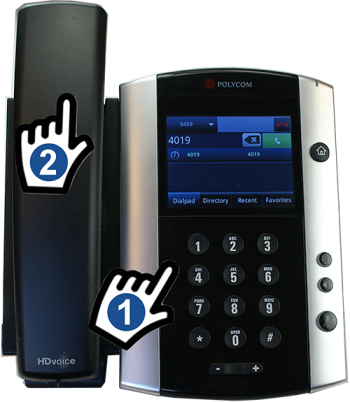 The layout of the buttons on the phones and the key sequences you use to perform each function are the same for all the models within both series. 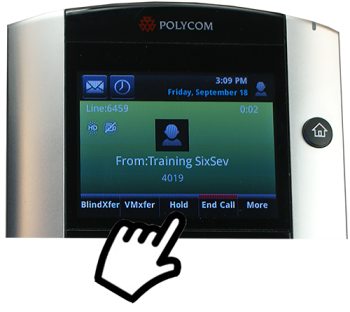 Your personal extension shows on the screen when your phone is at rest. 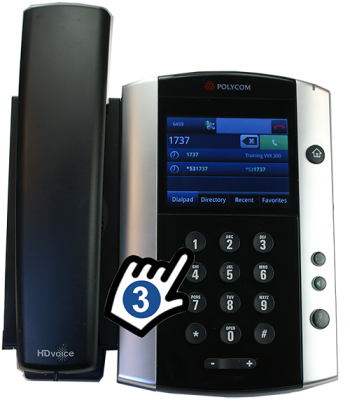 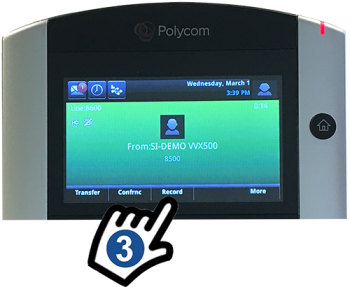 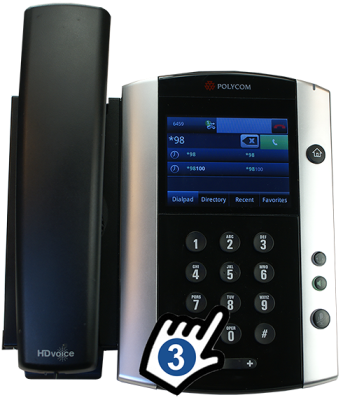 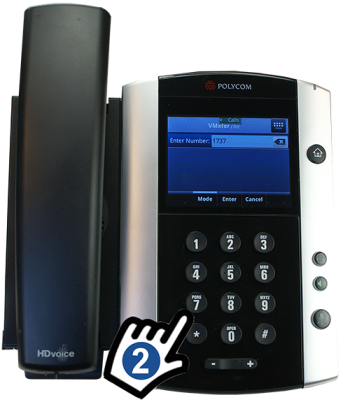 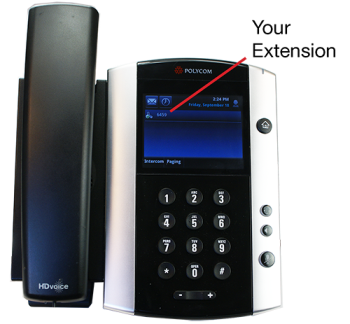 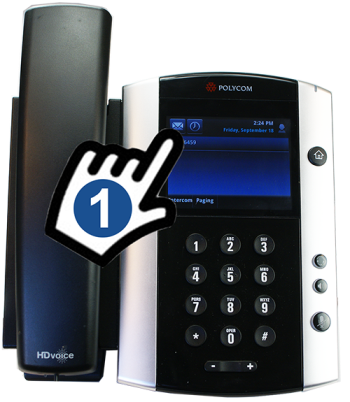 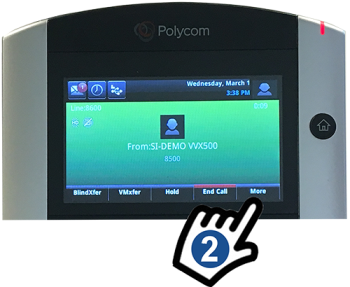 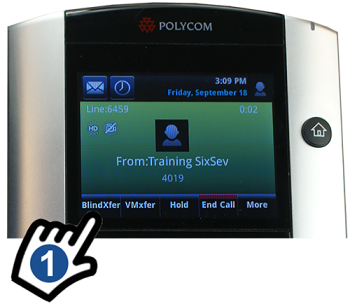 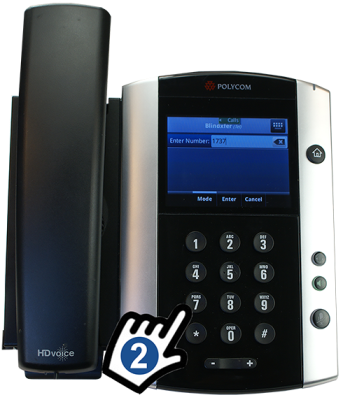 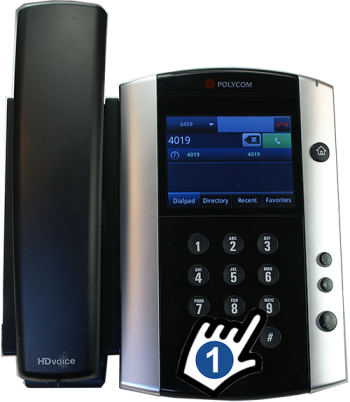 Your Polycom VVX 500 or 600 Series phone is equipped with a touch screen which you navigate by tapping or swiping up, down, left or right. Tap the icon that looks like an envelope on the top left side of your phone's screen. Tap the line for which you would like to set up voicemail. 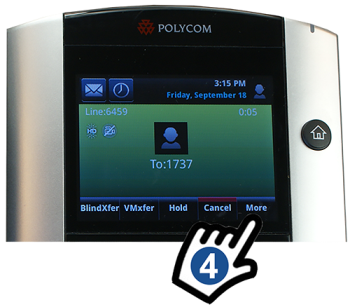 If have more than one line with voicemail on your phone (for example, your extension and the main number), you see them here. 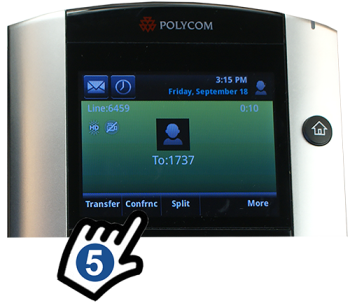 Tap the line for which you would like to check voicemail. If have more than one line with voicemail on your phone (for example, your extension and the main number), you see them here. 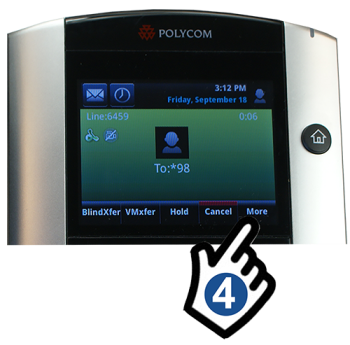 Tap the dial icon or the speakerphone button. 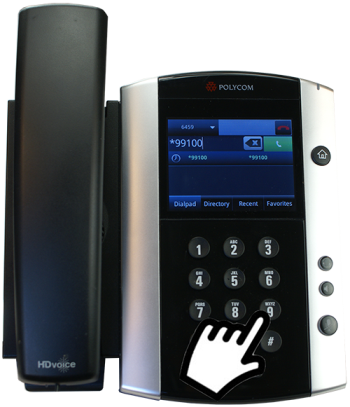 When the phone is ringing, pick up the handset to answer. 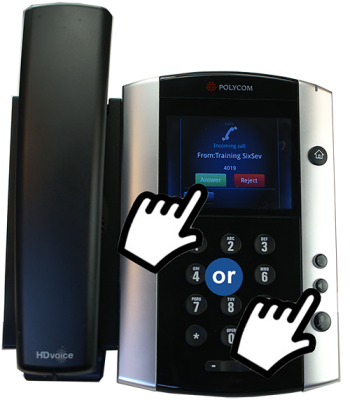 Tap Answer, or press the speakerphone button. Note: When you tap Transfer, the original caller is automatically placed on hold. 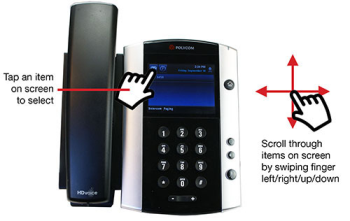 You do not have to manually place the caller on hold. After you have spoken with the recipient and are ready to complete the transfer, tap More. 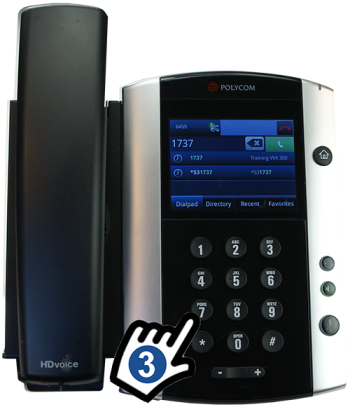 Tap Cancel at any point prior to completing a transfer to return to the original call. 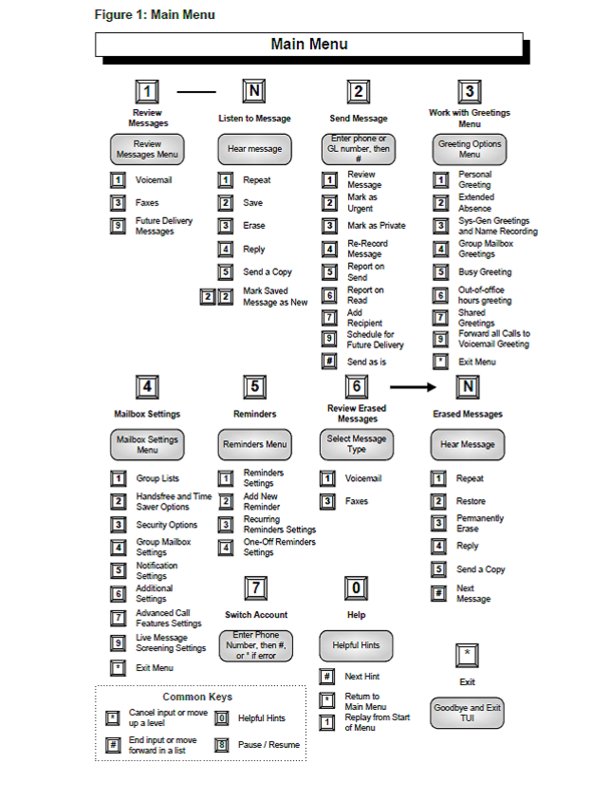 Note: You may have to tap More to see the Cancel soft key. 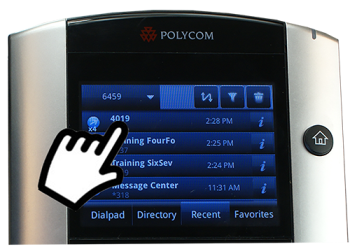 When you are on an active call, tap the Hold soft key. 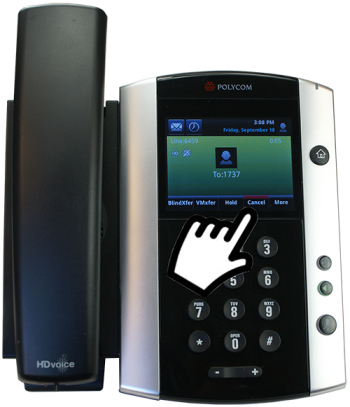 When a caller is on hold, tap the Resume soft key to return to the caller. 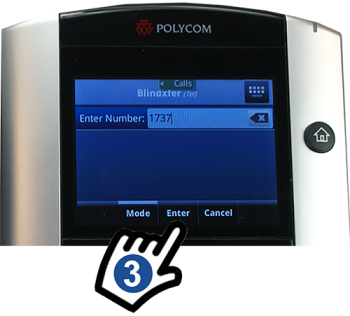 If you are on an active call, tap the caller ID of the caller on hold, then tap Resume. 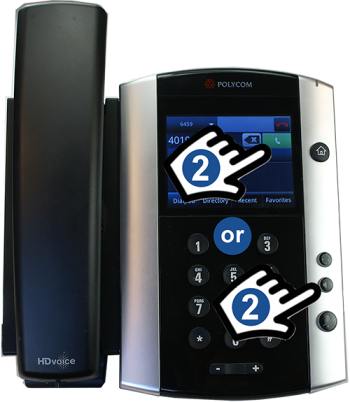 Note: If you have two callers on hold, or are on an active call and have one caller on hold, tap the call to which you would like to return, then tap Resume. 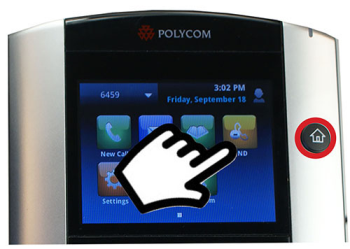 Tap the icon that looks like a clock to see your phone’s most recent received, placed, and missed calls. 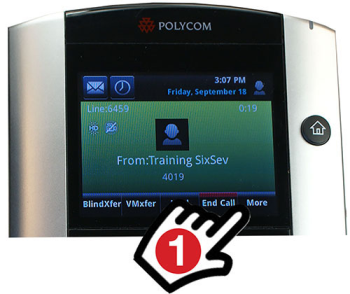 To clear the onscreen Missed Calls message, open your Recent Calls list by tapping the icon that looks like a clock. 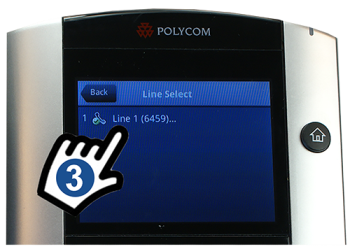 When the third party answers, tap More. 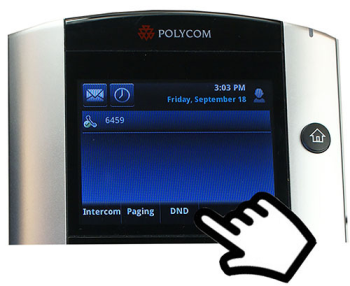 You toggle Do Not Disturb on and off by pressing the Home button and tapping DND. 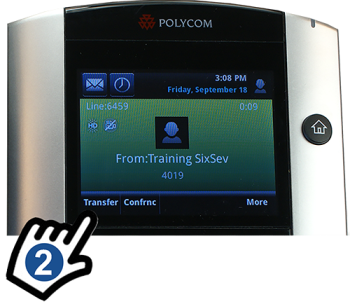 When you are on an active call, tap More. 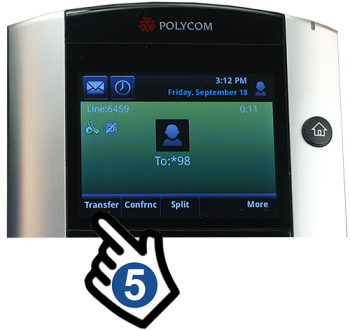 You will hear a message telling you on which orbit the call is parked and prompting you to complete the transfer. 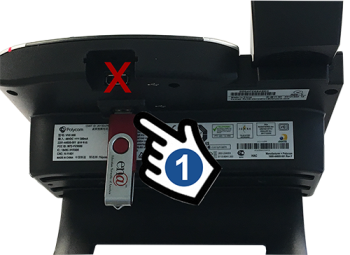 Tap More. 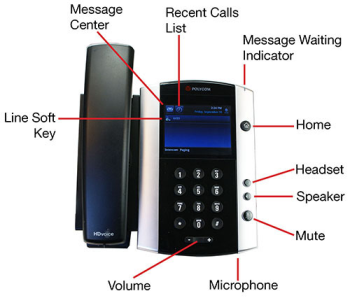 Insert a USB flash drive into the port on the back of your VVX 500_600 Series phone. 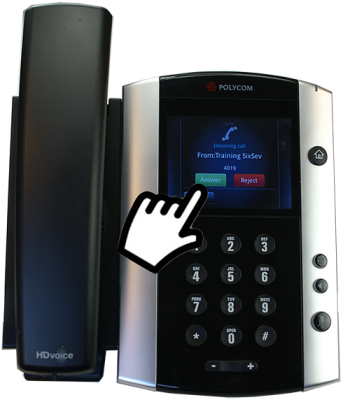 Note: Make sure you insert the USB flash drive into the port on the back of the phone and not into the video camera port on the top of the phone. 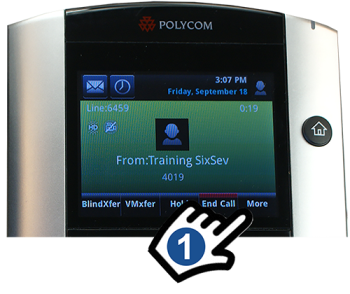 When you are on an active call, tap More (You may need to tap More twice). 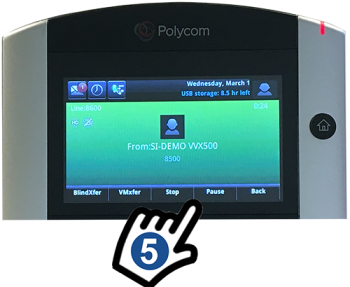 Tap Start to being recording.